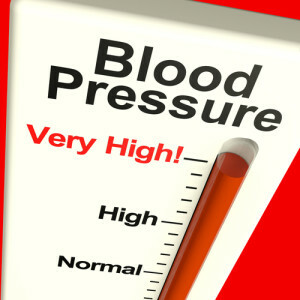 H igh blood pressure is blood pressure that consistently measures at or above 140/90 millimeters of mercury (mm/Hg). People who have blood pressure below 120/80 mm/Hg have normal blood pressure. Blood pressure between 120/80 and 139/89 is called prehypertension. It’s important to prevent and treat high blood pressure. Although high blood pressure causes no symptoms, it damages the linings of the arteries and causes atherosclerosis, or hardening of the arteries. As a result, the risks for heart and vascular disease increase. Fortunately, patients can manage or lower their blood pressure with dietary changes, other lifestyle changes, and/or medications. A diet is low in saturated fat, and high in fruits and vegetables, whole grains, and low-fat dairy products can reduce systolic blood pressure (the top number). More importantly, reducing sodium intake to less than 2000mg a day can significantly improve blood pressure. Diseases such as heart and vascular disease affect treatment recommendations and blood pressure goals. The physician may recommend combining the DASH eating plan with a reduced sodium intake. A reduced sodium intake is less than 2,000 mg of sodium a day (1 teaspoon of salt has about 2,300 mg of sodium). In general, a diet emphasizing fruits and vegetables, whole grains, lean proteins, and dairy products. The diet limits red meats, fats and oils, and sweets. Physicians recommend that patients make lifestyle changes for at least 3 months.